This year’s Best Picture race is one of the most open in recent memory, with no film being expected to dominate proceedings and take home a swag of awards. Obviously this means that it is going to be trickier than usual to tip the winner. When it comes to tipping Oscar winners it is important to remember that you are tipping who you think will win the award, not necessarily who you think should win the award. For that reason, sometimes it is more difficult to accurately tip award winners when you have seen a number of the films, because your own tastes and opinions tend to cloud your judgement. So what follows is a simple for and against for each of the nine nominees for this year’s Best Picture award. Then you can weigh up the arguments, see which you think is the most convincing, and then blindly guess the same way you do every year. 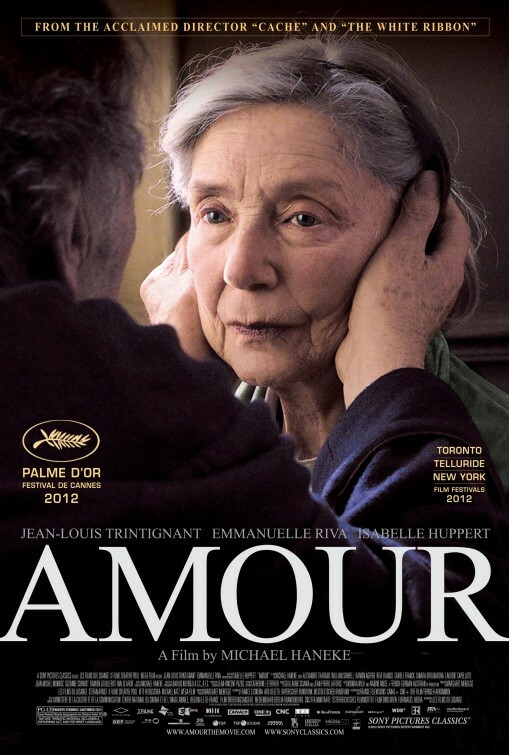 Why Amour will win: Amour is only the ninth foreign language film in 85 years to even get a nomination for the big award, and the fact that it has five nominations all up, including for Director (with Cannes Film Festival darling Michael Haneke making the cut ahead of the likes of Tarantino, Bigelow and Affleck) and Screenplay, two categories which usually go with a Best Picture win, suggests that the Academy sees this film as a legitimate contender, rather than just rewarding it with an also-ran nomination. And hey, a French film took home Best Picture last year. So it can happen. Why Amour won’t win: You want to know how many times a foreign language film has won Best Picture at the Oscars? Zero. It has never happened. The closest you can get to foreign language winners are The Godfather Part II, The Last Emperor and Slumdog Millionaire which all won Best Picture and contained sequences of dialogue in Sicilian, Mandarin and Hindi respectively. Why Argo will win: Momentum. 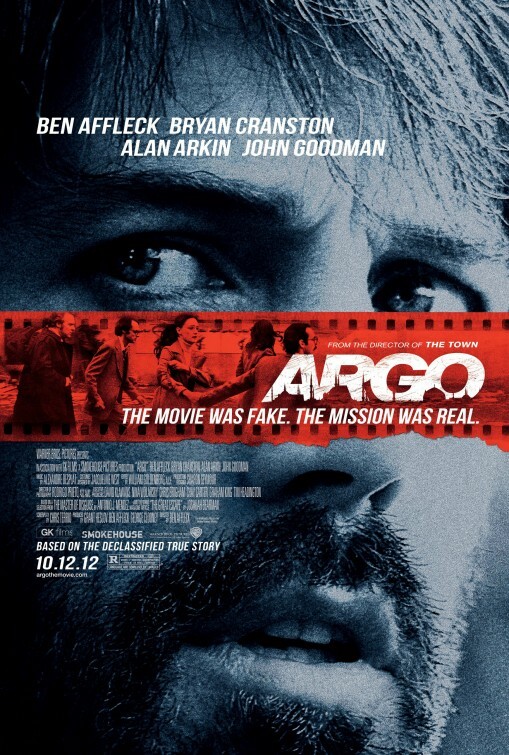 After initial fears that Affleck missing out on a Best Director nod meant the film wasn’t really in the running, in recent weeks Argo has firmed as the favourite after taking out a number of lead up awards. Winning the Golden Globe isn’t always the best guide to picking the Oscar winner, but winning the Directors Guild of America Award is. Despite there being two best picture awards at the Golden Globes, one for drama and one for musicals or comedy, only four times in the last ten years has the winner of one of those two awards gone on to win Best Picture at the Oscars. On the other hand, nine out of the last ten films to pick up the Outstanding Directorial Achievement in Motion Pictures award at the DGA awards have gone on to win Best Picture at the Oscars that year (the only one to miss out was Brokeback Mountain which was pipped for the Oscar in a bit of a surprise by Crash in 2006). Hence the reason a number of eyebrows were raised when Ben Affleck won that award this year. Why Argo won’t win: The big red flag next to Argo is the fact that Ben Affleck did not receive a nomination for Best Director. Across the previous 84 Academy Award ceremonies, only three times has a film won the top award despite its director failing to receive a best director nomination, with Driving Miss Daisy in 1990 being the only example since the early 1930s. Of course, in the last couple of years the Best Picture field has expanded from five nominees to up to ten. So whereas once it was the norm for the five Best Picture nominees to provide the five Best Director nominees, under the new system there will always be at least four or five Best Picture nominees that won’t be represented in the directing field. The temptation is to see those films which don’t also get a Director nod as the also-rans in the field. 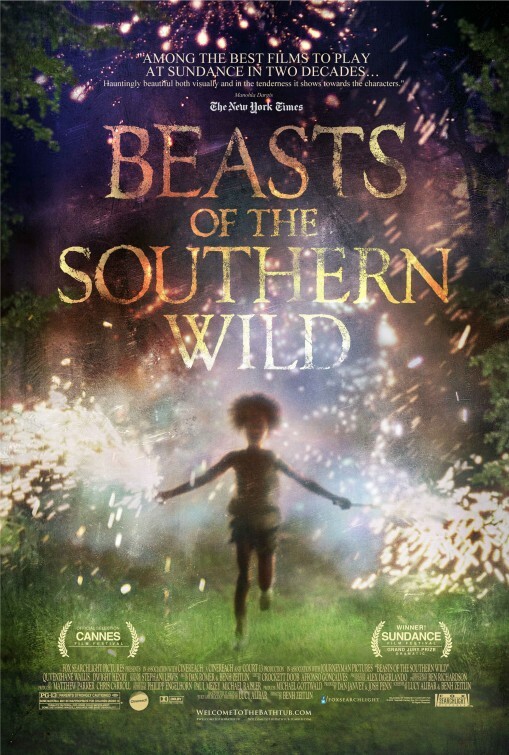 Why Beasts of the Southern Wild will win: The Beasts of the Southern Wild is the little film that could. The surprise hit of the year, it came out of nowhere to feature prominently in a number of Best Films of 2012 lists. It definitely stands out in the field as something totally different. A small budget, artistic premise, a six-year-old leading lady and a debut director (both of whom have been nominated in their respective categories). Could the Academy voters get swept up in the fairytale of it all? It’s also not unheard of for a directorial debut to win Best Picture. Sam Mendes’ American Beauty, Kevin Costner’s Dances with Wolves and James L. Brooks’ Terms of Endearment are the most recent to have done it. Why Beasts of the Southern Wild won’t win: Small indie films win festival awards, they don’t win Academy Awards. Why Django Unchained will win: There is the feeling that Tarantino has been working his way towards Academy recognition. He is one of the most influential filmmakers of the last twenty years and the Academy don’t want to find themselves in the same situation that they had with Martin Scorsese where it wasn’t until almost forty years into his career, and after helming a number of films regarded as all-time greats, that he finally won a Best Picture and Best Director award. Inglourious Basterds got close. 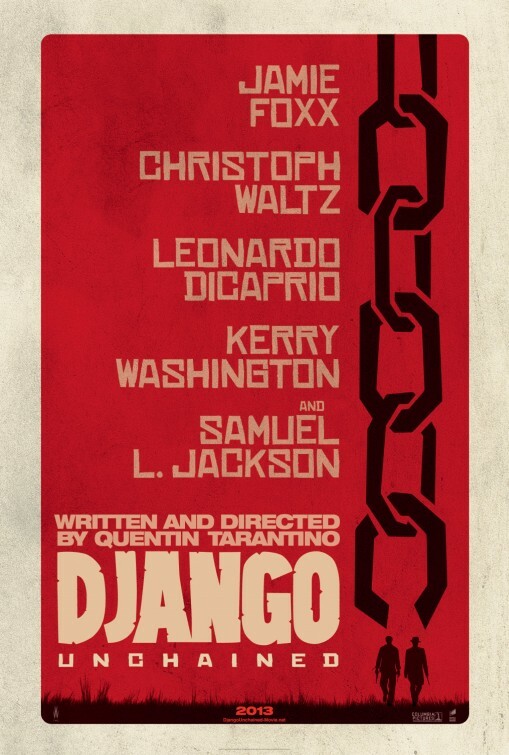 Could Django Unchained be the film the Academy recognises (even though Tarantino himself failed to get a nomination)? Also, Django Unchained really stands out in the field for its appeal to the youth demographic. The Academy Award ceremony has been trying hard for the last couple of years to appeal to the youth demographic, to maintain relevance and combat a declining viewership. Could the same thinking enter the voting process? Why Django Unchained won’t win: Tarantino’s eighth feature film seemed to be firming as a real Oscar contender until the Sandy Hook Elementary School shooting happened. It changed the story. After that event rather than slavery or spaghetti westerns Tarantino found himself, once again, forced to talk about excessive violence in his cinema. He then failed to receive a Best Director nomination, and unlike Argo and Zero Dark Thirty which have maintained their relevance in this race despite missing Director nominations, Django Unchained seems to have fallen by the wayside. You could also argue that Django Unchained isn’t as good as Inglourious Basterds was and it is competing in a stronger field. So if the Academy wasn’t willing to favour Tarantino in 2010 it doesn’t look like they will in 2013. 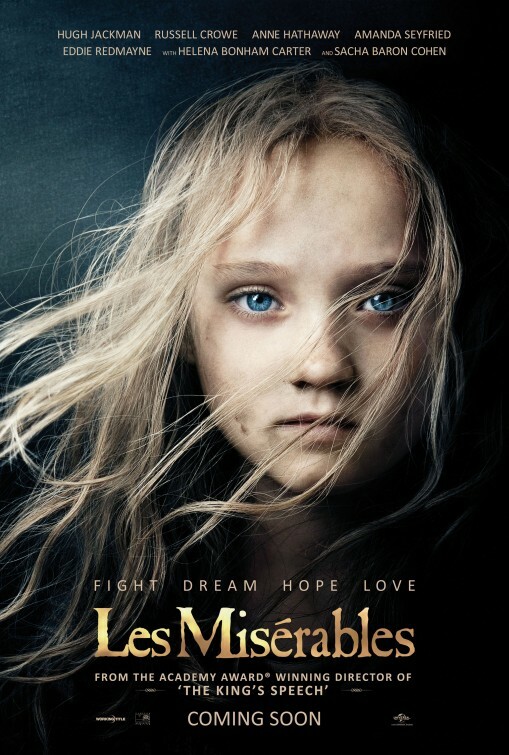 Why Les Misérables will win: Les Misérables seems like an obvious contender. You have one of the most popular stage musicals in history being finally brought to the screen with an all-star cast (two of whom have been recognised with acting nominations) by an Oscar-winning director. Tom Hooper followed up his surprise success with The King’s Speech by opting for this very ambitious project. It is a significant upping of scale from his previous films and could help with the perception of him progressing and evolving from his previous success. The other X-factor for the film was the unconventional approach to shooting the musical numbers, with the actors singing live on set rather than lip-synching to pre-recorded songs. Could this experimental approach, which allows much more performative freedom to the actors, be deemed as worthy of recognition from the Academy? Why Les Misérables won’t win: In the 1960s there were four musicals that walked away with the Best Picture award: West Side Story, My Fair Lady, The Sound of Music and Oliver! In the 44 years since Oliver! won only one musical has the award, Chicago in 2002. That is a roundabout way of saying that musicals don’t tend to fare well in recent times. And Les Misérables isn’t even just a musical, it’s practically an opera. Also, Russell Crowe. 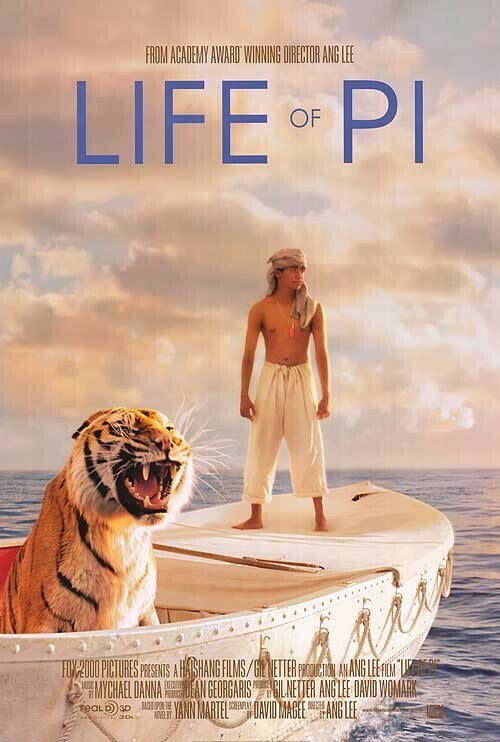 Why Life of Pi will win: Ang Lee, an Academy favourite, has taken a much-loved book which many thought was unfilmable and brought it to life, at the same time as showing the industry the potential of digital and 3D technologies. Life of Pi is tipped to be a major player in the Visual Effects and Cinematography fields, but the fact that the film also received nominations for Best Adapted Screenplay and Best Director suggests it is seen as more than just a technically impressive film. For a film which is at best being talked about as an outside chance, it is worth noting that Life of Pi has earned more nominations than any film other than Lincoln. Why Life of Pi won’t win: With the film being tipped to do so well in the technical categories, there is the danger Academy voters will see Life of Pi’s primary achievement being technical, that it is first and foremost a beautiful looking film. Very rarely do films come out on top in the Best Picture category on the grounds of being amazing technical achievements. Titanic ? Maybe Lord of the Rings? Why Lincoln will win: Do I have to spell it out for you? 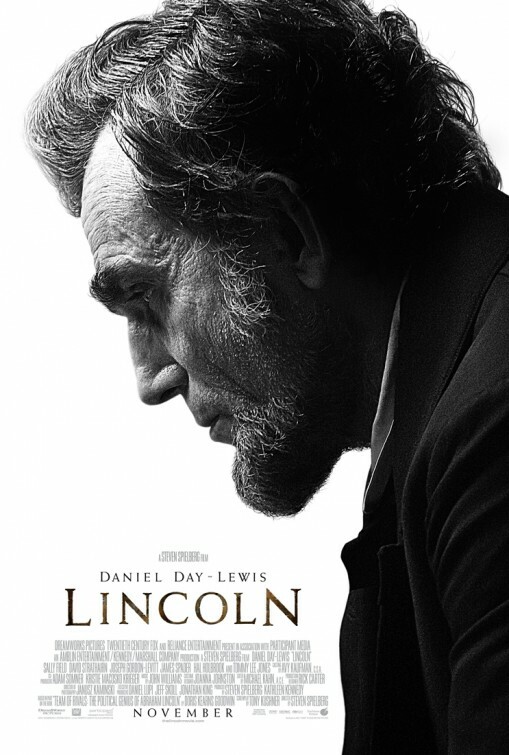 A period drama about America’s most worshiped president, directed by the world’s biggest director, with an all-star cast led by arguably the finest actor of his, or any, generation. How could it not win? Why Lincoln won’t win: For all the above reasons, Lincoln feels almost too good to be true. In the eyes of many people it just smells like Oscar bait, and sometimes the Academy reacts against that. Also, this film more than any other in the category had to deal with the weight of serious expectation when it came out. It is a fantastic film, but everyone expected it to be. Has it done enough to exceed people’s expectations and win voters over, or will the high expectations it had to deal with mean it gets overlooked in favour of one of the more “surprising” films. Why Silver Linings Playbook will win: While it’s eight nominations is not the most by any candidate this year, it is the categories they came in which is significant. Usually we talk in terms of the ‘Big Five’ categories (Picture, Director, Actor, Actress, and one of the Screenplay categories). In also getting nominations in the Supporting Actor and Actress categories, Silver Linings Playbook is the first film in 32 years (since Warren Beatty’s Reds in 1981) to get nominations in the Big Seven categories. It suggests that the Academy sees this as being an excellent achievement across the board. It also should be noted that the last three films to receive nominations in the big five categories (Million Dollar Baby, American Beauty, The English Patient) all went on to win Best Picture. 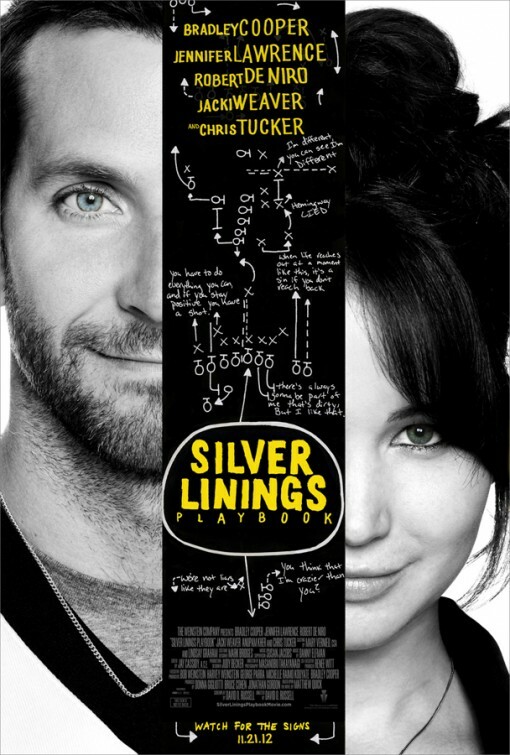 Why Silver Linings Playbook won’t win: While it feels unfair to pigeonhole Silver Linings Playbook as a romantic comedy, when it boils down to it that is what it is, a brilliantly written romantic comedy. And unfortunately for David O. Russell, comedies don’t traditionally fare well in this category. In the last thirty years the only two films which could be described as comedies to have won Best Picture are Shakespeare in Love in 1998 and The Artist in 2012. Also, despite scoring nominations across the big seven categories, it is really only Jennifer Lawrence who is considered among the favourites. So it is entirely possible that Silver Linings Playbook could be staring down a shutout. 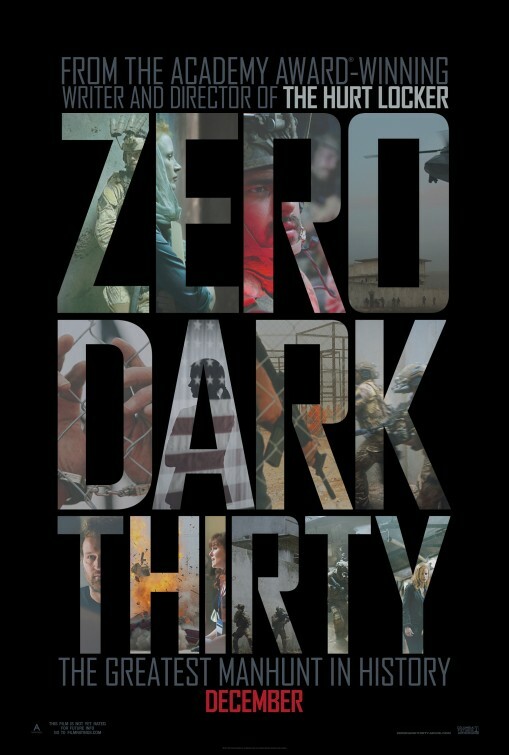 Why Zero Dark Thirty will win: Before it had even been released, Zero Dark Thirty had already won the New York Film Critics film of the year award, and early on it was seen as Lincoln’s primary competition for the Best Picture Oscar. In recent times its momentum has plateaued a bit, particularly with Bigelow failing to receive a Best Director nomination, but still remains among the serious contenders. The film is a harsh and unimpassioned look at the hunt for bin Laden and, as such, has an immediate political significance. As yet we haven’t seen an Oscar go to a film dealing directly with the events of 9/11 and its aftermath, but none of them have been as good as this one and perhaps the closure to the story that comes from the death of bin Laden means voters are ready. Why Zero Dark Thirty won’t win: While Zero Dark Thirty is seen as one of the real contenders it has had to deal with some controversy surrounding the perceived messages it sends about the use of torture as an interrogation method. Is the film pro-torture? The Oscars are not a ceremony that tends to court controversy. There is nothing particularly edgy about the Academy. The hint of something being divisive could frighten off the voters. There are two major surprises for mine, one an inclusion and one an exclusion. The Dark Knight Rises making the list was a bit of a shock. It was undoubtedly one of the most anticipated and most ambitious films of the year, but it didn’t quite reach the heights a lot of people were hoping for and has been absent from most of the other top tens that I’ve seen. The big absence is Paul Thomas Anderson’s The Master. An intensely interesting film, whose links to Scientology guaranteed a level of controversy and exposure a film of this kind would not otherwise have received, The Master has been a bit of a critical darling. It won gongs at the Venice Film Festival (Best Director for Anderson and shared Best Actor between Juaquin Phoenix and Philip Seymour Hoffman) and is talked about as a big time Oscar contender, and has appeared in a lot of top ten lists already, including topping that of the prestigious British film journal Sight and Sound. So it’s failure to rate a mention from the AFI is notable. The other thing about this list that is exciting for myself and other movie lovers on this side of the world is that so many of these films haven’t come out yet. With Django Unchained, Les Misérables, The Life of Pi, Lincoln, The Silver Linings Playbook and Zero Dark Thirty all due to hit screens in the next couple of months, we have a quality summer of movies to look forward to.